In conjunction with RMT, PCS and SERTUC, we sponsored the 2010 Festival and ran a Trade Union stall on the Saturday (26th June). As the major sponsors, the back cover of the Festival’s programme featured the Trade Unions. In previous years, the Southend Borough Council was the leading sponsor but their funding of the Festival was reduced. I would express our gratitude to Brian Denny for his hard work in liaising between the Unions and the Festival’s organisers. I think the linking of our work in the local community and the folk traditions of the Festival helped to form a lasting partnership. After the formation of the Coalition Government following the General Election, there could be no doubt that there would be an all-out attack on the living standards of working people. The Tories and Lib Dems, in the name of reducing the national deficit, are intent on making the working class pay the cost of the economic crisis created by the reckless speculative activities of the bankers and their allies in the City. In the front line of the Government’s attacks are the members of public sector trades unions. However, there is a growing movement of students, benefit claimants, NHS users and other groups disadvantaged by the savage spending cuts. 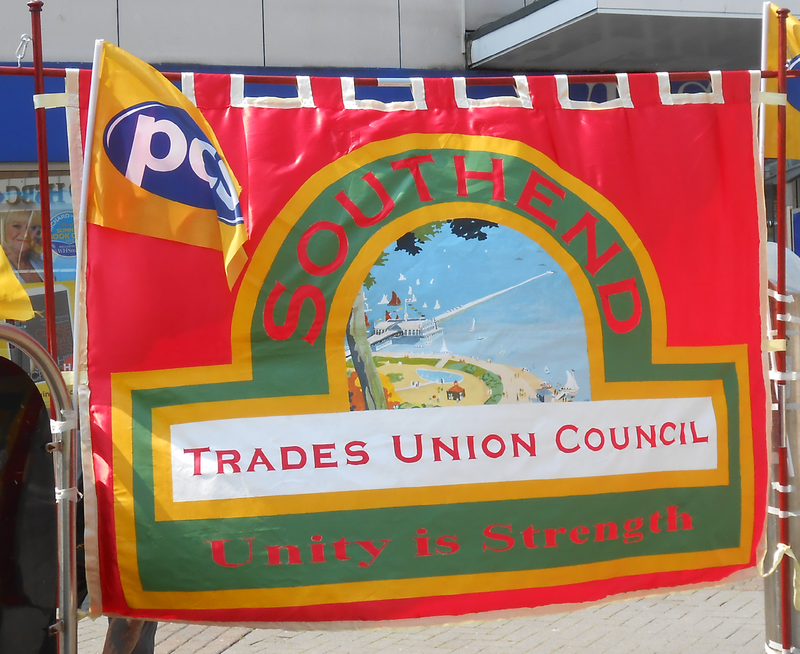 In September, the Southend TUC organised the public meeting which set up this campaigning group, which aims to unite all groups opposing the Government’s spending cuts. On 12th December, a very successful march and rally was held in Southend High Street. Over 200 people joined the march to express their opposition to the cuts. Not were there only trade unionists, but students, pensioners and other campaigning groups. The Southend Labour Party and other political groups were also represented. The Government’s plans will without doubt dominate the agenda for the Southend TUC throughout the coming year. We will need to build the maximum possible support for the TUC’s national demonstration called for 26th March 2011. Finally, I would like to thank all Officers and delegates to the Southend TUC for their input in the past year. This work will stand us in good stead for the struggles to come in 2011.